BROOKFIELD Funeral services will be held on Saturday July 7, 2018 at 11:00 AM at the Kelley-Robb-Cummins Funeral Home for Donn E. Guyton who lost a courageous battle with Alzheimer’s Disease on Friday June 29, 2018 at the age of 65. Born in Youngstown, Ohio, Donn was the son of the late Ervin and Vera Guyton. He worked for Dominion (East Ohio Gas) for 20 years before retiring in 2012. 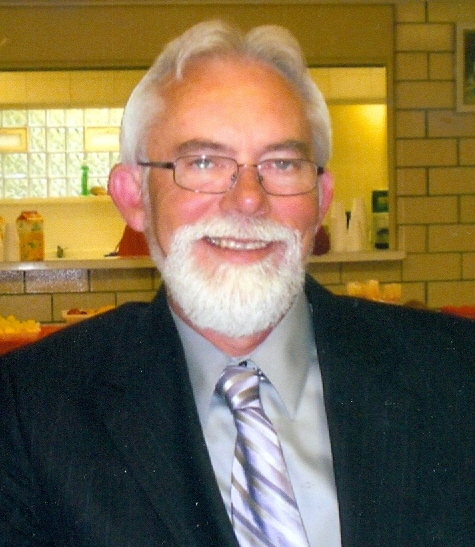 He was a member of Liberty Presbyterian Church and he had a passion for cars and racing. He loved watching NASCAR, working on cars, going to car shows, hanging out with his family, playing golf, and rooting for the Indians, Browns, and Buckeyes. Donn was the loving and caring husband of Andrea Guyton with whom he shared 55 years of friendship and 18 years of marriage. In addition to his wife, he is survived by his stepdaughters, Heather Baritell (Matt) and Kari Lape (Rick), both of Hubbard, his sister-in-law, Ruth Guyton, of Brookfield, as well as nieces, Kimberly Osberg (Rich) and Holly Zahniser, nephew, Mark Simmons, great-nieces, Kaitlyn Kurcon and Autumn Williams, great-nephews, Richie (Megan) and Austin Osberg, and Jonathan Mazza, step-grandchildren, Rick Jr. and Ryan Lape, and great-great-nieces, Maci Phillips and Sadie, Harper, and Skylar Osberg. He was preceded in death by his parents, Ervin and Vera Guyton, his brother, Norman Guyton, whom he lost in 2008, and his sister, Evelyn Simmons and niece, Denise Mazza, both of Girard, who lost their lives in the 1985 tornado. His family is comforted knowing that Donn has been reunited with his parents, brother, sister and niece. But most of all, they are comforted knowing that he is at peace and no longer suffering. Family and friends may call on Friday July 6, 2018 from 3:00 PM to 7:00 PM at the Kelley-Robb-Cummins Funeral Home and also on Saturday July 7, 2018 one hour prior to the funeral services from 10:00 AM to 11:00 AM at the funeral home. Interment will be at Brookfield Cemetery.